Ethiopia’s Somali regional state on Friday signed an agreement to disarm and reintegrate members of the Ogaden National Liberation Front (ONLF) into the state’s security forces and civil service. Over 1,740 fighters of the Ogaden National Liberation Front are now ready to join the Somali regional state’s security forces and civil service. 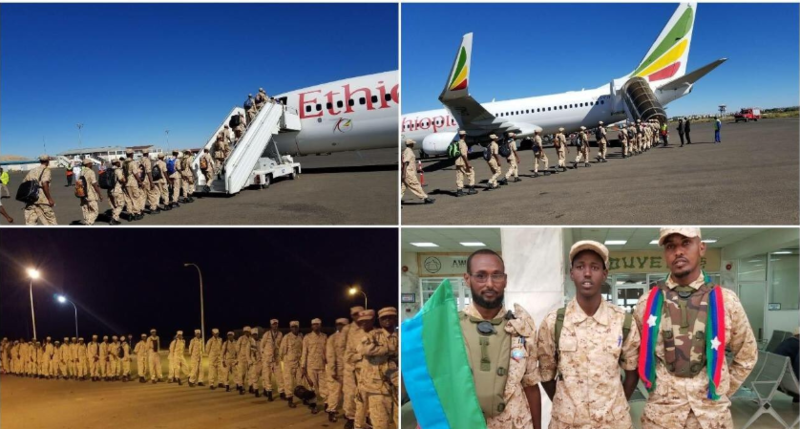 The decision came after the group fully agreed to abandon the armed struggle following Prime Minister Abiy Ahmed’s call for the group to return to Ethiopia and pursue peaceful political discourse. It is indicated that those who choose to stay in military related jobs are expected to take rehabilitation training before joining the government forces. Deputy President of Somali Region of Ethiopia Mustafa Mohamed has made welcoming speech expressing his gratitude for the Group to accept the call and decided to end the arms struggle. Hundreds of Somalis celebrated the historic agreement in the state’s capital of Jigjiga. ONLF is one of the many rebel groups, which have decided to end arms struggle with Ethiopian regime and advance their political agenda peacefully. The ONLF, established in 1984, demands for autonomy of the oil and gas rich Ogaden region and has claimed responsibility for several attacks since the beginning of 1994 against Ethiopian forces in the area. The Ogaden region is almost entirely populated by Muslim, Somali-speakers. The region has kept its own distinctive identity, doing the bulk of its trade with Somaliland, Somalia and the Middle East rather than the rest of “highland” Ethiopia.